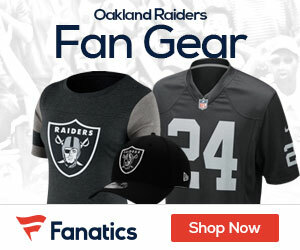 The Raiders official site reports that new Raiders coach Hue Jackson says that the team is going to do whatever it takes to get Jacoby Ford more involved with the offense in 2011. Appearing on NFL Network Wednesday, Raiders coach Hue Jackson vowed to get wide receiver/kick returner Jacoby Ford more involved in the offense. “You better believe I do,” said Jackson. “No doubt. This guy scores touchdowns. We have quite a few guys on our football team that are able to stick the ball in the endzone: Darren McFadden, Michael Bush, Louis Murphy, Darrius Heyward-Bey. I mean we have a wealth of players that have a chance to do some special things.” “But obviously Jacoby is gonna become a household name because he has some very special ability. He’s very good with the ball in his hands. He’s very good without the ball in his hands because he draws a lot of attention.” Jackson also indicated that he still wants Ford returning kicks. “I sure do. Why not? “This guy is one of the most explosive kick returners in football. And I think he’s just scratching the surface on what he can do.” Just the 108th pick last year, Ford showed enough down the stretch of his rookie season that Jackson should be able to convince owner Al Davis that Ford is worth using as a full-time player. Starting the last nine games of last season, Ford posted two 100-yard games.